A classroom drama set in a tough London neighbourhood, To Sir, With Love is a modest film that seeks and finds emotional connections thanks to a dominant Sidney Poitier performance. 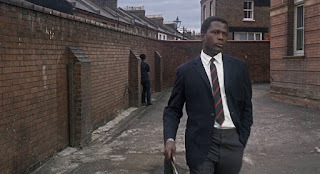 Unemployed engineer Mark Thackeray (Poitier), originally from British Guyana, accepts a teaching position at North Quay Secondary School in the low-income East End of London. The other teachers have generally given up on trying to tame the wild students, who come from mostly broken homes and face bleak future prospects. 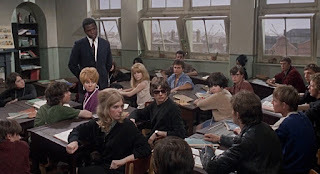 The only other teacher who seems to care is Gillian Blanchard (Suzy Kendall). Thackeray's unruly group of students are led by Bert Denham (Christian Roberts), who does all he can to break every rule with the utmost disrespect. 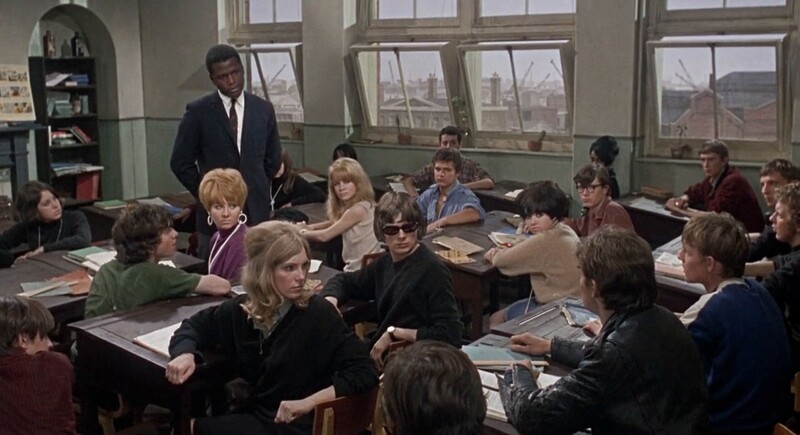 The other students include Pamela Dare (Judy Geeson), Potter (Chris Chittell) and Babs (pop singer Lulu). Thackeray tries all he knows to engage the students in academics, but succeeds only in alienating them further. He finally discards the curriculum and transforms his class into an open discussion about social behaviour and life aspirations, revealing much about himself while insisting that the students treat each other with dignity. The students respond, and Thackeray starts to earn their respect, although Denham remains skeptical. But a new set of problems emerge with the increasing closeness between teacher and students, including one student developing a crush, while Thackeray risks alienating himself from the other teachers. 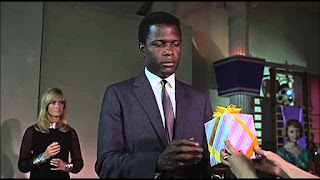 A British production directed by James Clavell, To Sir, With Love was part of Poitier's stellar 1967: it was released the same year as In The Heat Of The Night and Guess Who's Coming To Dinner, and helped establish Poitier as Hollywood's first black superstar. To Sir, With Love is the most modest of the three films, but also the most intimate. This is a story of one teacher and a small group of students learning to deal with each other. It's also less about race than it is about class. Thackeray's skin colour is barely mentioned; his dogged attempts to reach out to kids who are just passing time in the classroom is the source of all the tension. Most of the film is set in the classroom, and Clavell draws plenty of power from clearly drawn battle lines. Thackeray own the front part of the room, but that is all. Where the students sit is a mayhem zone where boys and girls are equally rude to each other, where flying objects, flying insults and on-the-fly plotting against the teacher rule the day. Thackeray's attempts to penetrate the students' own sense of despondency make for compelling viewing, and he only succeeds when he reorients his agenda to where these students want to be: in real life, talking about struggles at home, career prospects and what it means to be an adult. Once the breakthrough is made Clavell's script does allow most of the students to transition quickly into more reasonable human beings, but that's because the film is also interested in the realities of what happens next: just as one set of challenges is hurdled, another emerges. Expectations are raised, fissures emerge within the student ranks, some students start to idolize their teacher, other staff members are not on same behavioural wavelength as Thackeray, and he starts getting involved in the students' troubled home lives. The film benefits from a swinging sixties London vibe, and even at the derelict east-side school a counter-culture revolution of the young is brewing. Dancing, mini-skirts and an attitude of overthrowing stodgy societal norms provide texture to Thackeray's venture into the world of teaching. Lulu's hit song To Sir, With Love provides the perfect musical accompaniment. Sidney Poitier commands the film with a performance of understated determination, and is at his best when he surprises his students with frank snippets from Thackeray's own life. Just because he is educated and wears a suit does not mean that Thackeray had an easy upbringing, and Poitier excels at presenting the teacher himself as the most inspirational lesson that the students can internalize. To Sir, With Love is about personal change, as one man finds his calling in life and guides students to discover that their potential far exceeds their own expectations.